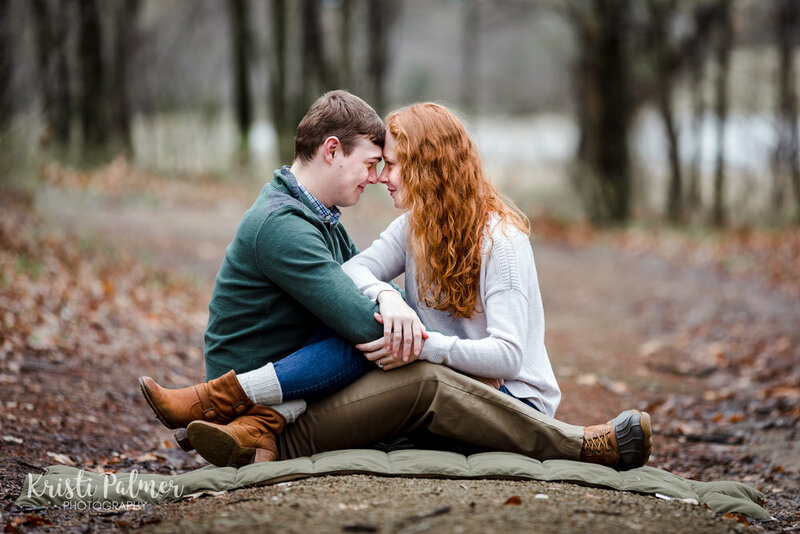 I was so thrilled to photograph this couple for so many reasons! One: I have been waiting forever for them to be engaged. 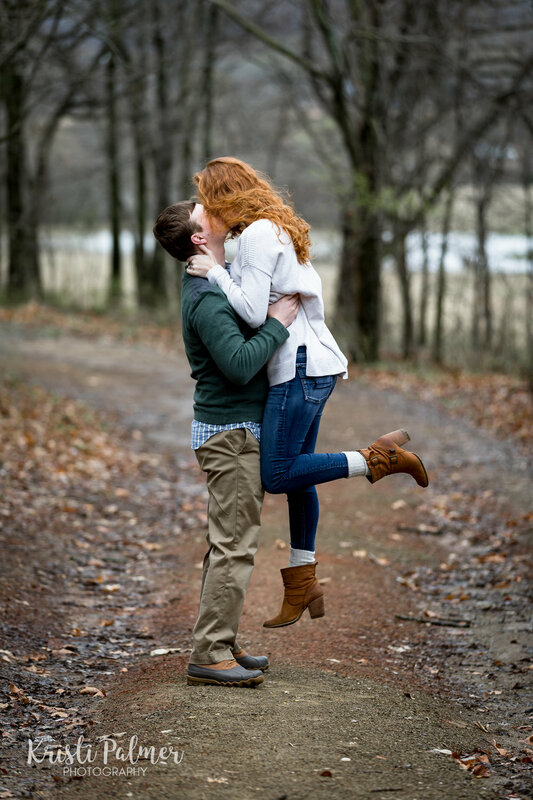 Two: This groom-to-be, Seth, just left for twenty weeks of army training and I was so glad I was able to squeeze them in right before he left when his dates were moved up. 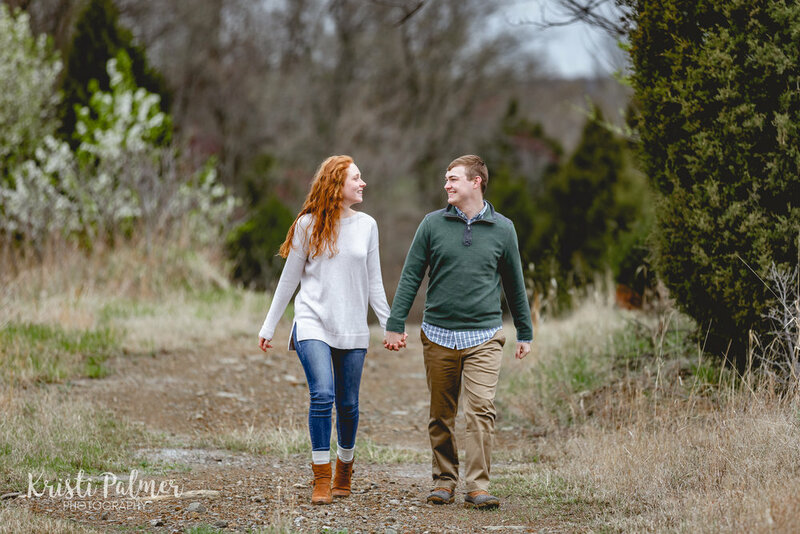 Three: I was able to photograph these two on our new property and I just knew it would lend itself to beautiful photos. Because we only had one day to get these done, I was so hopeful for perfect weather. It had been the most beautiful week with sunny, warm days. But we ended up with a cloudy, cold, moody day instead. And you know what? I think it made these images look even more romantic! You can’t always get what you want, but you get what you need, right? 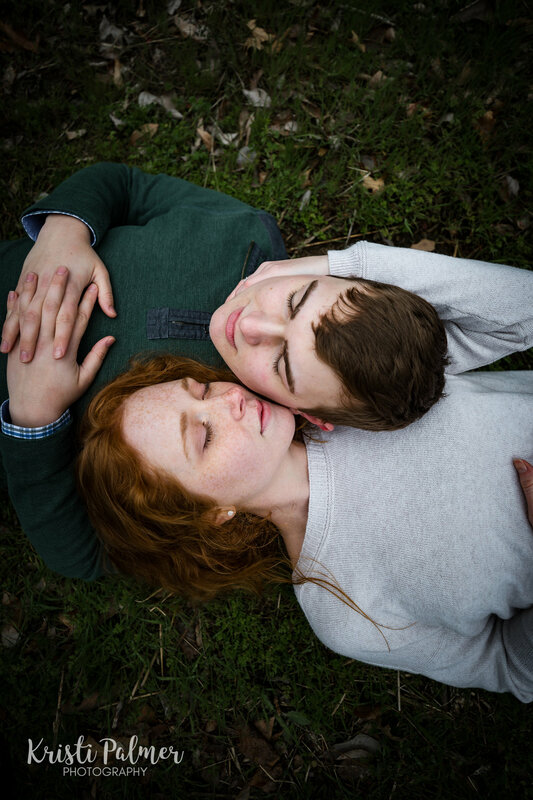 Enjoy these photos and Kayla’s gorgeous hair. Seriously, her hair makes the photos even more amazing! 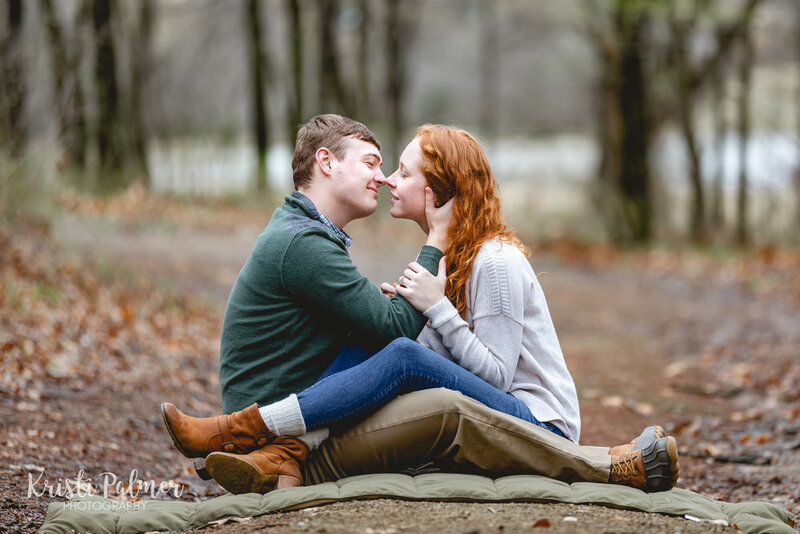 Congratulations on your engagement, Seth and Kayla!